Hello Fashion Without Guilt is having our first Giveaway ever. YEAH!!! The contest rules are very simple. 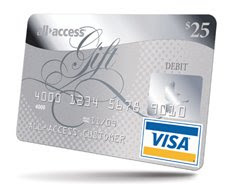 Sign up for Fashion Without Guilt via e-mail and enter to win a $25 Visa Gift card. If you’re already a subscriber, you will be automatically entered in the giveaway. Good luck and Happy Shopping!! ***Please make sure that when you subscribe, there will a confirmation email that will come to your inbox. Please make sure that you click the link to confirm your email address. If this is not done you will not be eligible for the contest. The winner will be notified by email by 5/15. Thank you to all who enter.